To foster the development of clinical investigators focused on hypothesis-driven, patient-oriented research, particularly in the field of immunology and related subjects, as exemplified by the scientific life of Henry G. Kunkel. As an extension of this mission, an annual meeting will be held to highlight the presentation of recent research and promote discussion on related significant scientific questions. Henry G. Kunkel was a physician whose illustrious scientific life was distinguished by the ability to delineate principles of fundamental human biology through the meticulous study of patients with a variety of disorders of the immune system. His ability to bring a patient into the laboratory resulted in fundamental insights into the nature of the immune system and the group of diseases involving autoimmunity, immune deficiency, and malignant proliferation of the elements of the immune system. His laboratory's analyses of monoclonal proliferations delineated the polyclonal repertoire of B cells, the immunoglobulin subclasses and light chain types, the order of their genes in the human genome, and the existence of variable and constant regions of immunoglobulins. Henry Kunkel's recognition of the antibody nature and specificity of rheumatoid factors and anti-nuclear factors was fundamental to defining the inherent autoimmune character of diseases such as rheumatoid arthritis and systemic lupus erythematosus that previously had been considered disorders of collagen and the identification of the role of immune complex formation in their pathogenesis. Work in his laboratory pioneered the identification of a variety of molecules expressed on the surface of lymphocytes including Fc receptors and MHC class II molecules. 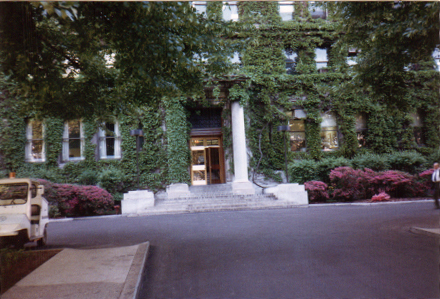 The Kunkel laboratory was distinguished by its primary focus on the training of investigators in disease-oriented research who could think incisively about disease processes. His trainees were imparted with Henry's approach to science that was characterized by intellectual excitement, rigorous scientific rectitude, and the ability to delve deeply into the meaning and significance of an observation. For making the 2019 Henry Kunkel Society Meeting a success! Stay tuned for registration information about the 2020 Meeting taking place at Rockefeller University, New York, NY April 16-18th, 2020. Antibodies to Sm reacting with splicesomes (snurp particles) in the nucleus in a "speckled" pattern. These particles are the sites of precursor mRNA splicing. The snurp particles are distributed in the nucleoplasm but not in the nucleoli. A cell in mitosis does not show assembly of Sm antigen into particles but Sm antigen is more diffusely distributed in the nucleoplasm outside the mitotic plate region.